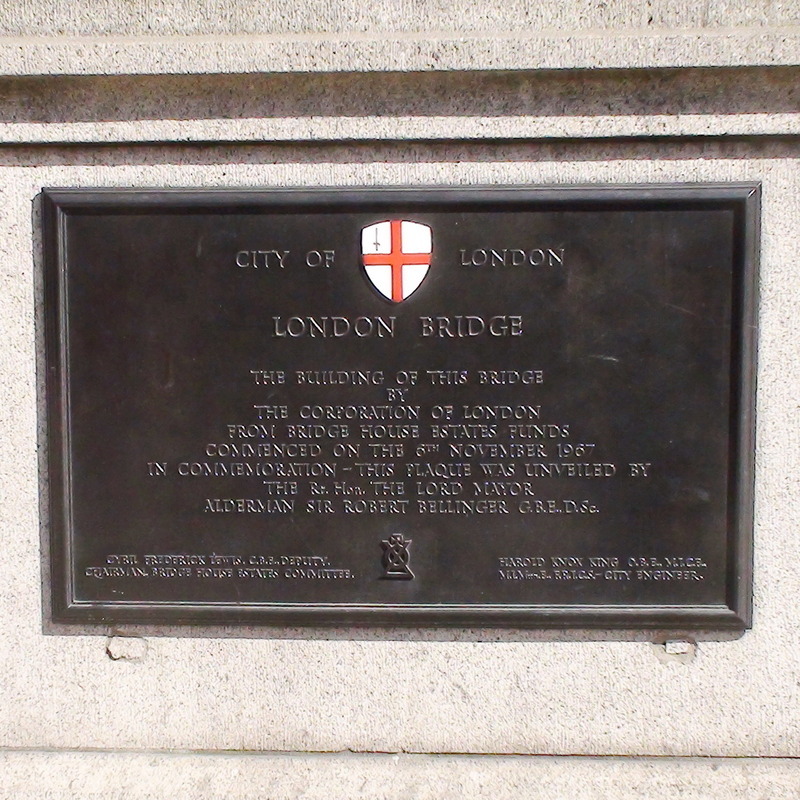 The building of this bridge by the Corporation of London from Bridge House Estates Funds commenced on the 6th November 1967. 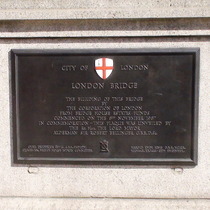 In commemoration this plaque was unveiled by the Rt. Hon. the Lord Mayor Alderman Sir Robert Bellinger, GBE, DSc. Cyril Frederick Lewis, CBE Deputy - Chairman, Bridge House Estates Committee. Harold Knox King, OBE MICE, MIMun.E, FRICS - City Engineer. This building has a claim to be London's oldest skyscraper. This plaque was replaced in 2013 but we are keeping it here for the record. The gift of C. Gilpin Esq, MP, 1800.